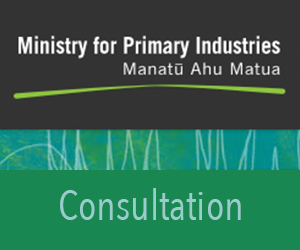 The ministry for Primary Industries is seeking submissions on a proposed 9-month extension to the current ban on collecting shellfish and seaweed along the Kaikōura and Cape Campbell coastlines. A temporary emergency ban on the harvesting of shellfish – excluding rock lobster and scampi – and seaweed along the earthquake-affected east coast of the South Island, was announced by the Ministry for Primary Industries (MPI), last November. The Government also announced a $2 million package to investigate the impact of the earthquake on these fisheries. While the short-term mortality of pāua and other shellfish and seaweed was high in the affected areas, the long-term mortalities cannot yet be estimated. MPI’s Director of Fisheries Management, Dave Turner, says there are worrying signs for other shellfish, including kina, and seaweed species. “Consequently, MPI is taking a precautionary approach and is proposing to extend the current ban for a further 9 months while additional work is done to ensure that any future fishing in the area is sustainable”. The temporary closure includes the South Island fisheries waters between Conway River to Marfells Beach area which is enclosed by a line commencing at a point on Marfells Beach at 41°43.655′S and 174°12.645′E proceeding for about 4 nautical miles in a north-north-easterly direction to a seaward point at 41°39.474′S and 174°14.876′E; then maintaining a constant distance of 4 nautical miles from the coastline at all points until reaching a seaward point at 42°38.153′S and 173°33.378′E (taking mostly a south-westerly direction along the coast); then proceeding in a west-north-westerly direction to a point on land at the Conway River at 42°36.909′S and 173°28.173′E; and then following the mean high water line back to the point of commencement. Submissions close 5pm on 31 January 2017.